More and more teenagers are turning to Invisalign Teen for their orthodontic needs because the process of straightening their teeth with traditional metal braces interferes with eating, speaking and maintaining clean teeth. Metal braces can also cause self-consciousness and embarrassment, causing teens to feel less confident and to share their smiles less. Dr. T.C. Hardy uses Invisalign Teen® to provide teenagers with a way to straighten their teeth that is nearly undetectable. Invisalign Teen is a version of Invisalign® that is designed for the unique needs of teenagers. 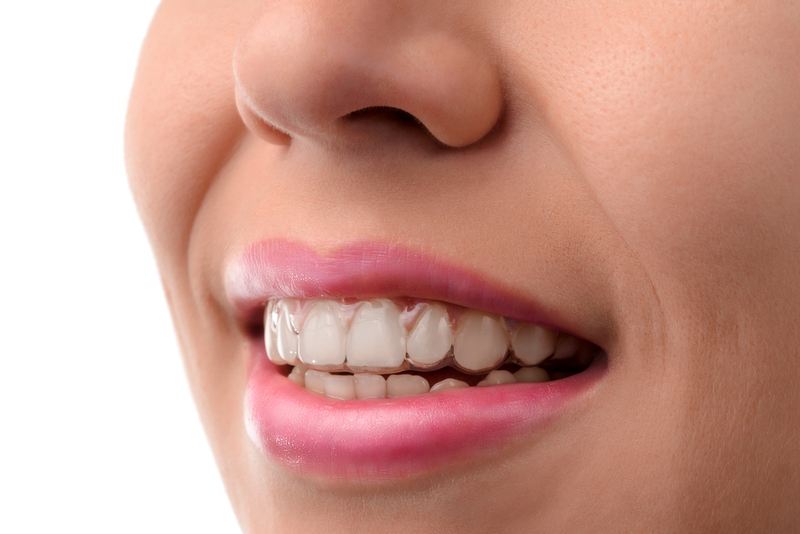 Using a system of clear custom-fit aligners, this orthodontic method of correcting crooked and unevenly spaced teeth or bite issues allows patients to eat, drink and clean their teeth with ease. Because the aligners are removable, Invisalign Teen also permits patients to wear mouth guards during sports or to remove the appliance while playing an instrument. Our patients at Hardy Pediatric Dentistry & Orthodontics enjoy the comfort and convenience Invisalign Teen provides, and they are able to achieve straighter teeth and a more beautiful smile with minimal impact to their daily lives. A vital step in addressing your orthodontic needs is finding a reputable and skilled orthodontist you can trust. Many general dentists offer Invisalign Teen as well as orthodontic services. However, an orthodontist has spent 2-3 additional years after dental school earning advanced education and training in a specialized orthodontic residency program and is 100% committed to orthodontic treatment. Dr. T.C. Hardy was extensively trained on correcting misaligned teeth, adjusting occlusion (the way the teeth fit together), and treating jaw disorders at Tufts University School of Dental Medicine, where he earned his specialty in orthodontics. If you would like to learn more about Invisalign Teen®, or to schedule a consultation with Dr. T.C. Hardy, please contact us today at 720-887-6003. We are happy to serve the community of Erie and are excited to meet you and your family.